Imagine working around the players of Indian National Sports teams, being the personal consultant of Bollywood stars and being one of the most-sought after Ortho-Physio specialists. Sounds fascinating, no? It is! However, to experience all this, you need to complete the advanced level degree in Physiotherapy. A bachelor’s degree in this field will set the right pedestal. Following it with a Master program helps you score high on the chart of success. 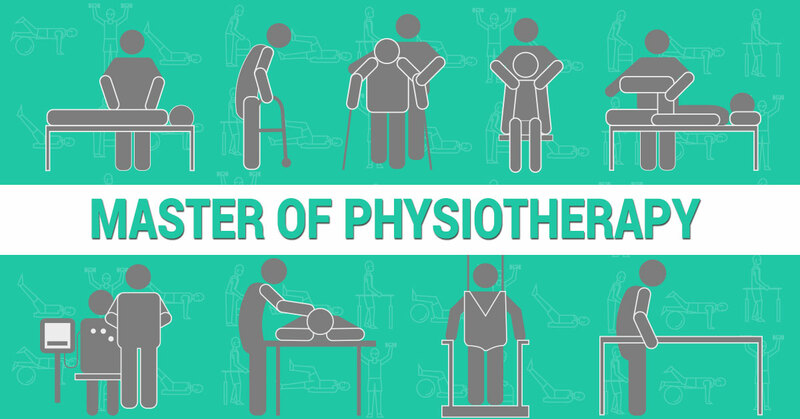 There are a number of post-graduate degree options after a bachelor’s in Physiotherapy. Read on to choose the most suitable one for yourself. Master of Physiotherapy in Orthopaedics (MPT) in Orthopaedics is a two-year postgraduate degree course. The programme focuses on the study of physical therapy and treatment of the musculoskeletal system. The course prepares aspirants with understanding, skills, and abilities to relieve the pain of orthopedics or musculoskeletal problems like chronic joint pain, joint stiffness, poor mobility, arthritis, and back or neck pain. It also includes deep learning of the human body and treatment in case of strains, post fracture, sprains, post surgery, and repetitive of the patient. M.Sc. Physio-Ortho is a postgraduate course. This two-year programme prepares the students for how to diagnose and treat diseases related to bones and joints such as spinal cord injury, rheumatoid arthritis, cervical spondylosis, bone tumor, congenital diseases, complex limb fractures and so forth. The course is structured to ensure that the students acquire the ability to provide leadership within a changing healthcare environment and attain the essential competencies of a practicing physical therapist. Note: Course is available both on a full time and part time basis, depending on the University or college you enroll in. The candidates should complete their B.Sc. degree or M.B.B.S. under any registered University in the respective subject. The minimum percentage requirement of admission for this course may vary. In many Colleges and Universities, entrance exams are conducted for the admission of the students. This postgraduate course deals with medical science and prepares the aspirants for the rehabilitation of physically disabled individuals who suffer from absence or loss of limbs, limb malfunctions and abnormalities of other body parts. The curriculum of the programme engages students in learning a precise model that empowers sound and effective patient assessment and treatment while incorporating strong knowledge and skills. The duration, of course, is mostly two academic years, but it may vary from foundation to foundation. Bachelor’s degree in prosthetics and orthotics from a recognized University & RCI. The marks of admission for this course vary from university to university. In various colleges and universities, it conducts entrance exams for admission. After completing Master’s, some scholars choose to acquire the highest collegiate degree. A Doctorate of Philosophy (Ph.D.) offers knowledge that students need for writing, researching and teaching. This type of degree often takes eight years to complete. Ph.D. in Physiotherapy lay emphasis on the science behind physical rehabilitation. The aspirants in this programme study evidence-based methods of physiotherapy. As this programme prepares for a wide range of fields, students are also required to research and write papers to showcase their findings regarding physiotherapy. Post completion, learners’ will be able to diagnose and treat physical impairments as well as educate future physiotherapists. Candidates acquiring a PG degree in Physiotherapy. i.e., MPT degree awarded by any University or a Master’s degree considered as equivalent are eligible for enrolment for the Ph.D. course in Physiotherapy under Medical faculty. A vast sea of options is waiting for you to fish in. If you haven’t made your mind, consider the aforementioned options for a secure future. Sure, it demands more hard work, but nothing in life comes easy. Be the one who moves forward courageously and comes out with the winning streak.